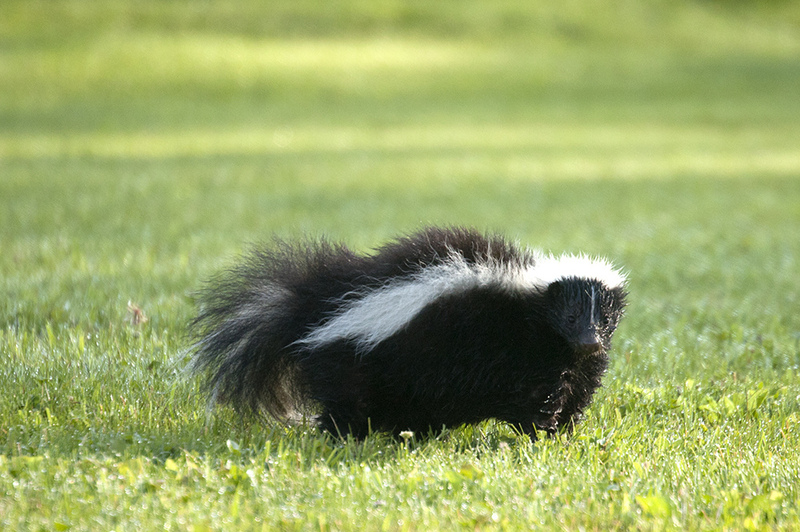 If your dog gets sprayed by a skunk, here's the recipe of a solution that works great. First of all, don't spray your dog with water yet. It's best to do this outside, or in a well ventilated area. Soak your dogs fur with the mix for 20 minutes. Keep the mix out of your dog's eyes. Use a sponge to clean his/her head and around eyes. Knead the solution into the fur, be sure to get every part of your dog with it. Rinse thoroughly with water. Avoid contact with eyes. Contact us (or an emergency hospital if we are not open) if your dog's eyes are red and swollen. Don't premix this recipe!